Global Manager Group is a progressive company and promoted by a group of qualified Engineers and management graduates having rich experience of 20 years in ISO consultancy and management areas . The company serves the domestic as well as international customers through on-site and off-site modes of service delivery systems. We offer a full range of consulting services geared towards helping all types of organizations to achieve competitiveness, certifications and compliance to international standards and regulations. 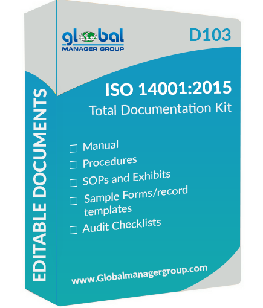 The key to Global Manager Group success is a commitment to the knowledge transfer philosophy and our methodology as a best seller to provide ready to use ISO documents and ISO training kits. Global Manager Group has achieved 100% success rate for successful ISO certification. All our clients successfully clear the ISO audit in the first attempt and achieve ISO certificate in first go. Global Manager Group is one of the largest ISO and management consulting organizations with clients in India, and other countries like USA, Europe, Switzerland, U.K., France, UAE, Singapore, Thailand, London, Saudi Arabia, Qatar, Kuwait, Bahrain, Jordan, China, Nigeria, Australia, Philippines, Malaysia, Canada, Dubai, France, Indonesia, Brazil, Sweden, London, South Africa, etc.. Global Manager Group offers a wide range of consulting services like strategic management, H.R. Management, marketing management, Quality management, Quality,Safety, HSE with specialization in Consultancy for ISO 9001, ISO:14001 document, ISO:17025, CE mark, ISO/TS 16949, ISO 27001, OHSAS:18000, SA 8000 , HACCP document, BRC, ISO:22000, 5S, six sigma, Kaizen , Goal setting, KRA, Total Productive Maintenance (TPM), Benchmarking, Just in time, Kanban, employee motivation& HACCP , environment management system, food safety system, information security system, OHSAS system, We are one of the preferred Management and ISO Certificate Consultants across the world news having more than 900 clients in our group.